I recently held a draw for a full course gourmet Japanese black foods dinner – all my own recipes, prepared and served by me. Most ancient traditional health systems, traditional Chinese medicine in particular, hold naturally black foods in particularly high regard for special health enhancing benefits. These unique foods were often reserved for the elite. Modern nutritional analysis is now confirming that these foods do have exceptionally high nutritional value compared to their pale counterparts. Last week we finally held the event. Congratulations to the winner Betsy Lipes and her 3 guests. I hope that everyone enjoyed this unique meal as much as I enjoyed making it. Big thanks as well to my partner Yolaine for her indispensable assistance in putting on this event. 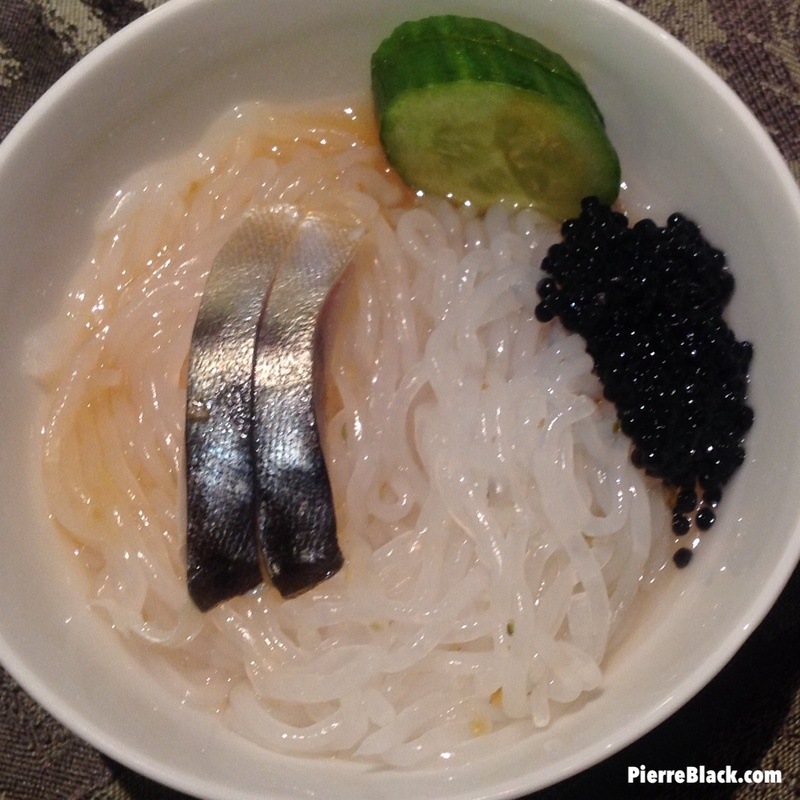 Shirotaki yam noodle sunomono with black caviar, vinegar mackerel, and kabosu green citrus. 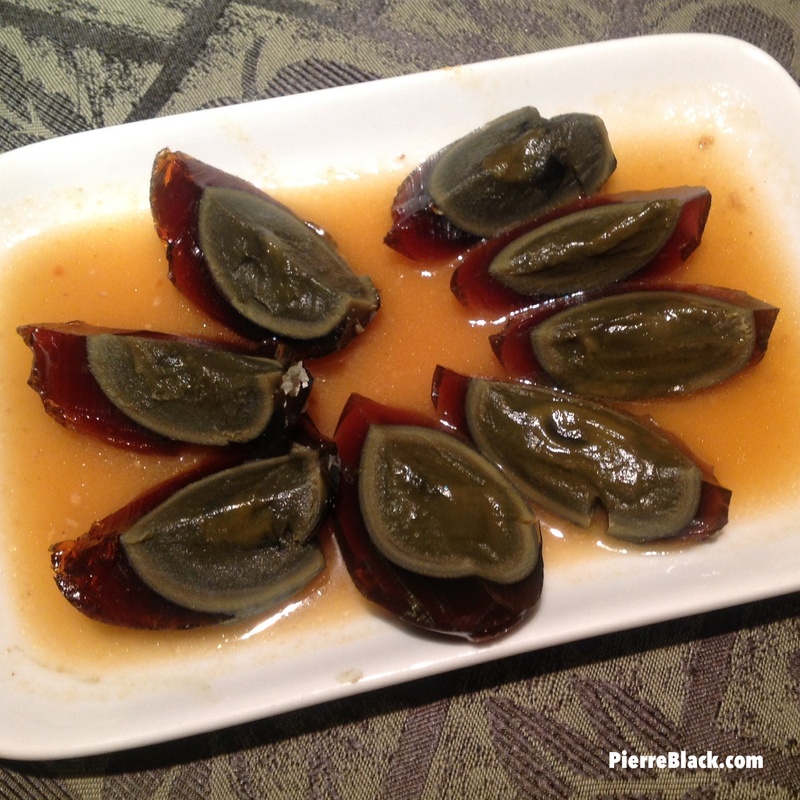 Cured black “”thousand year old” duck egg in sesame Ponzu sauce. 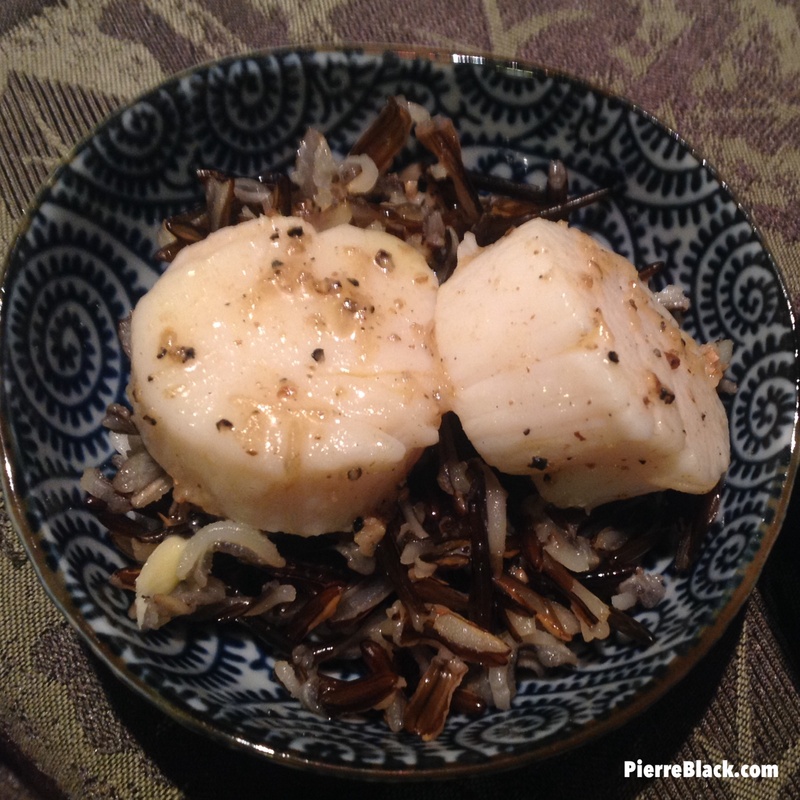 Pan seared scallop and black truffle over black Canadian organic wild rice. 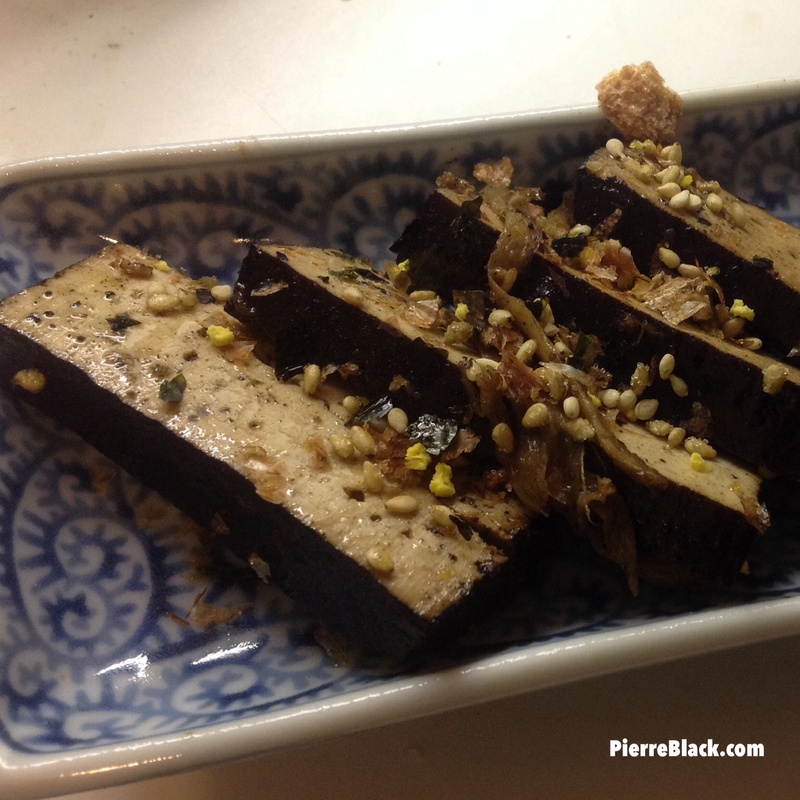 Black tofu fried with Ginger and served with Japanese sprinkles. 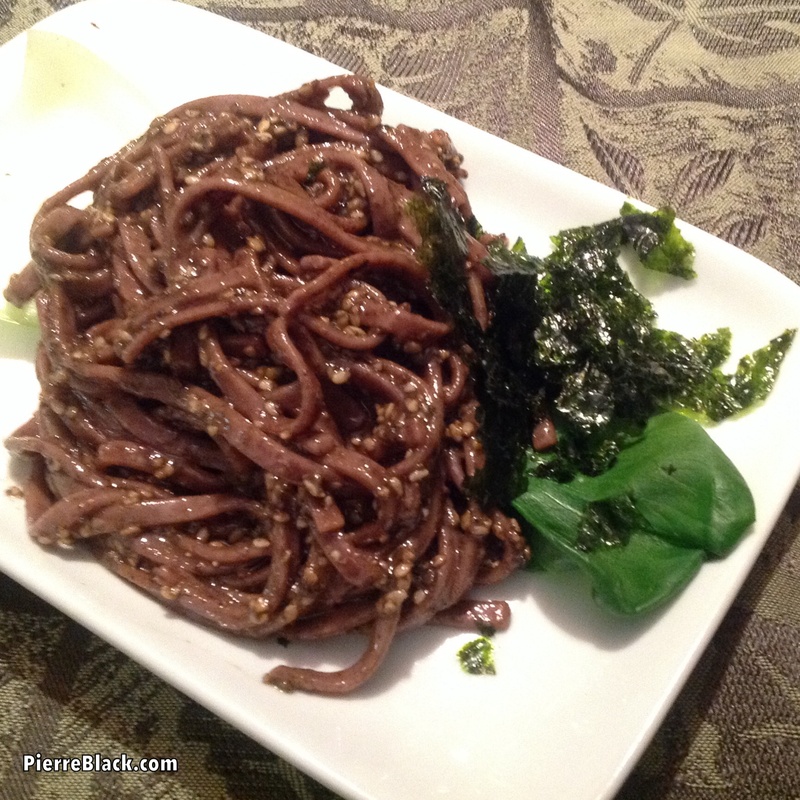 Organic black rice soba noodles and black sesame sauce served with roasted Nori and bok choy. Marinated black wood ear fungus with cucumber and cilantro. 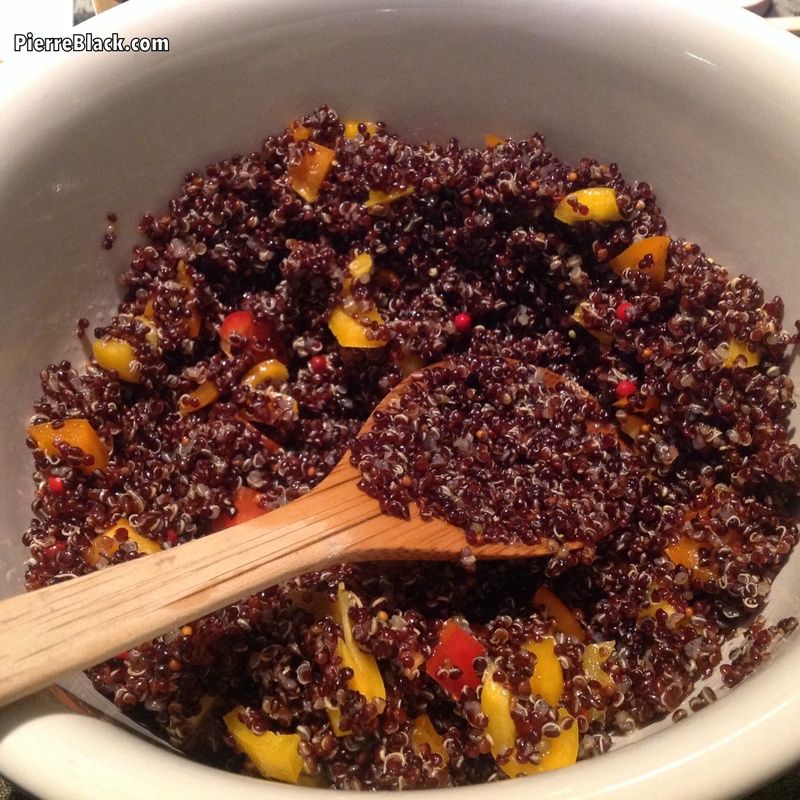 Black quinoa and sweet bell pepper salad with pink peppercorns. 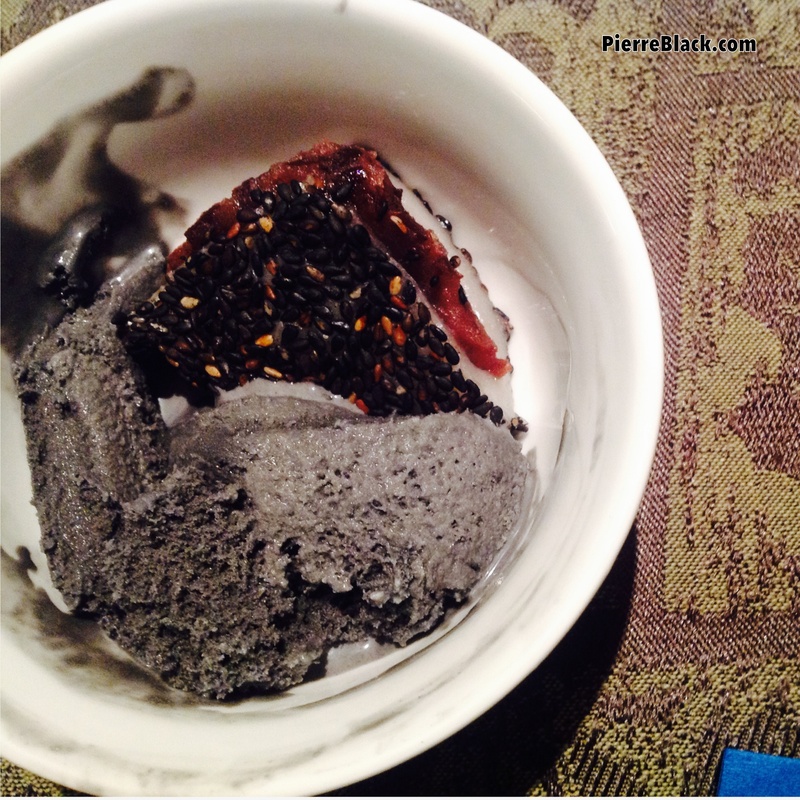 Black sesame and read bean mochi served with black sesame ice cream.